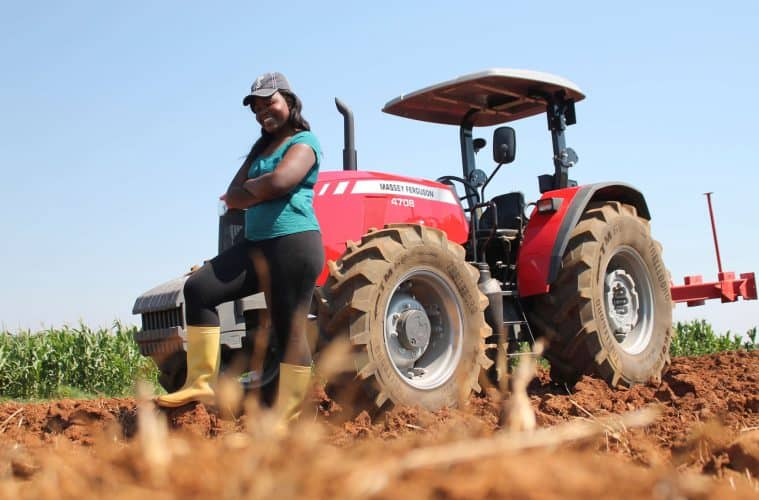 What’s it like to be a young woman and a farmer? Traditionally farmers have been known to look a certain way, mainly male and above 60 years. So, being known as a young woman farmer is exciting because it changes the status quo and lets people know that, ” Yes you can do it in spite of your current situation”. My father bought a farm when I was in form 2. He used to keep cattle. I went to Watershed college, a school which was next to our farm. Learning at Watershed school exposed me to the possibilities of agriculture. At my school agriculture was quite attractive because you would see the farmers children driving tractors and all so there was some prestige to it. Still, it wasn’t easy. I remember I used to cry a lot because of the struggle, especially the bullying from the boys but I was determined. After school, I got an amazing opportunity to work at a British company for two years then returned back to Zimbabwe to farm. What is the most amazing thing you’ve done as a farmer? To date my most amazing experience was being selected by AGCO Corporation to speak at their Africa summit in Berlin on the upscaling of small scale holders. After my presentation the CEO & President of AGCO gave me an award for influencing and leading women towards mechanised farming in Africa. I have since been able to mechanise my farm with their support. You mentioned your big business idea is to train women in the value of agriculture. Tell us more about that. Last year I held a farmer training at my farm where I invited the local community and stakeholders. I hope to be able to set up a centre where young people and women can learn the basics about agriculture. I believe the future of agriculture lays in the hands of those that are given custody of the land and are responsible to treat it in a way that future generations will benefit from. For example, climate smart agriculture is something that more people should know about. Climate smart agriculture is farming in a sustainable way that makes use of efficient irrigation system and disturbs soil structure only minimally. I’d like to share my ideas with others and encourage knowledge transfer. I am also passionate about indigenous organic grains. One of the crops I grow is a rice variety called Oryza glaberrima. This rice is native to Zimbabwe but is at risk of becoming extinct. Why should more young women be interested in agriculture? More women should start tapping into the vast opportunities in agriculture. Currently in Africa, 70 percent of women are players in agriculture but at primary level. Very few women actually own land and are running successful agribusiness projects. Agriculture is rewarding and it’s not just primary productions. It has many facets to it. In Zimbabwe, there is a lot of opportunity to develop the agriculture sector. We have a lot of underutilised land. Currently we are importing a lot of agricultural produce which we could be growing ourselves. This to me shows enormous potential.